These two amazing women work their magic in the schools with teachers and directors–and often directly with the children–in the classrooms. To parents, their work is most likely invisible if you don’t see them at drop off or pick up, but each of these ladies have a profound impact on Pine Village. Jacie first came to PVP in 2007 as the director of the West Newton school. She then became the founding director of the Needham school before moving to the administrative side of things in 2011. 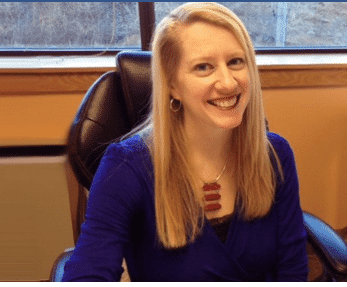 In her role as Director of Education, Jacie assists and oversees the development and implementation of the educational curriculum at each of the Pine Village schools. Jacie also ensures consistency and continuity in curriculum content and instruction throughout all Pine Village schools by taking care of the recruiting, hiring, on-boarding and training for all staff. She manages all of this along with overseeing the curriculum for our Saturday Program and community outreach programs such as those at the Boston Public Library and the MFA. 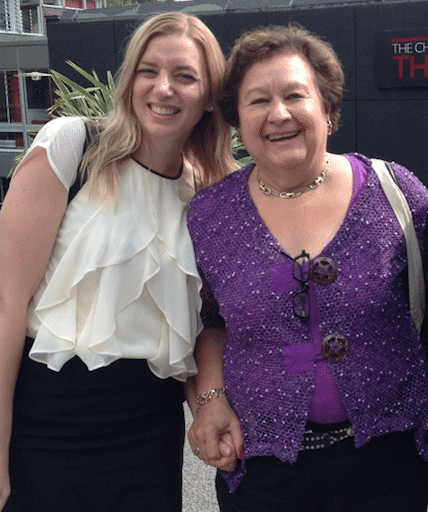 Marina (pictured above, right, with Christina Hinton of Research Schools international) also began with us as a director; she was the director at our JP Revere location beginning in 2009, and became the Community Director in 2012. Her role in that position is to build a school community that thrives on each individual’s unique talents, values and background. She creates an educational culture where love and laughter are the essence for learning and language, leaving a significant and lifelong impact on the lives and passions of children. Marina does this through her commitment to Conscious Discipline training and support in the schools, as well as direct support for teachers and parents of children who are struggling.